After playing a very demanding role in Cuckoo as a blind woman, Malavika Nair is now a vibrant, young girl in Arasiyalla Idhellam Saadharanamappa. Going by the title, the film looks like a comedy entertainer that has Veera of Nadunisi Naigal fame in the lead cast. 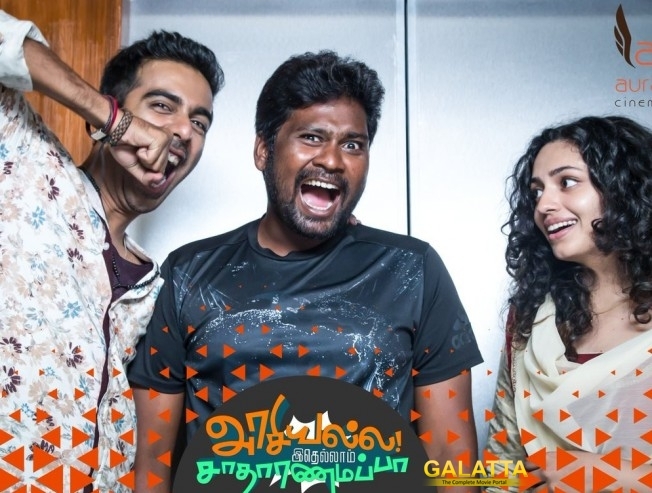 The film is directed by Avinash Hariharan and is produced by Auraa Cinemas. The team posted a playful photo featuring the lead cast before they start their shooting schedule to deliver an entertaining flick for their audience on the big screen.